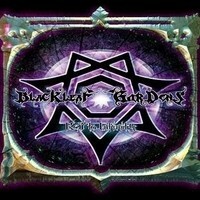 BLACKLEAF GARDENS have been making a huge name for themselves in the New Zealand Metal scene in recent years. Formed in 2011, the four piece have already released one EP, toured the country, were the winners of the Keep It Live & Loud competition in 2012, and were grand finalists of the 2013 National Battle of the Bands. The end of 2013 saw the release of the Progressive Metal band’s debut album, entitled “Key To Infinity”. The 9-track creation consists of catchy riffs, diverse vocals and groovy melodies, thanks to the talents of vocalist Mike Gee, guitarist Bill Rootes, bassist Jess Reeves and drummer Matt Grossman. Check it out, Metal fiends of the world. The track lengths range between 3 minutes 55 seconds and 10 minutes 40 seconds, the majority being on the long side, promoting maximum metal merriment. Opening track “Ambience of Autumn” kicks off with some peaceful nature sounds, accompanied by melodic guitar. After nearly a minute, the vocals, drums, bass and distortion guitar break their way through, bringing some heavy riffs and beats into the mix. Gee’s vocals range from smooth cleans to hostile growls – suggesting autumn may not be quite so ambient after all. Track number two,” Green Goliath”, begins with a funky intro, before becoming extremely distorted. The vocals are different again, and pretty creepy, made even more so by the echo effect added to them. Reeves chucks in some awesome bass solos to make things even groovier, whilst Roote’s riffs keeps things brutal. Next up in “Remnants” we have some more melodic guitar to kick things off, giving things a nostalgic mood. Again Gee’s vocal diversity is an impressive component, but by no means the only noteworthy element – Grossman’s drumming contributes greatly to the funk, as does Reeve’s bass. “Experiment” changes things up, starting off extremely heavy -complete with growls, doublekick and distortion – and remaining that way for the entirety of the song. That is, until the end of the fifth minute, where the melodic guitar makes a comeback, and Gee recounts what sounds like a satanic nursery rhyme. The track to follow is on the mellow side: “427 Pt. I (Chapter Zero)” is groovy, melodic and perfect for a reflective mood, that is, until the song progresses and things get fierce. BLACKLEAF GARDENS have a habit of shaking things up. The sequel to the previous track is another bipolar one, going from manic to mellow within seconds. Entitled “427 Pt. II (Blackleaf Gardens)”, the 10 minute 40 second number is as vast in power as it is in length. There’s some awesome shredding by Rootes, and Reeves brings forth the majestic power of the bass once again. “Vicious Garden” is one of the shorter tracks, and is quite a pleasant slow song, despite its disconcerting name. Gee’s vocals are lovely, for lack of a better word, and the instrumentation is superb. In true BLACKLEAF GARDENS fashion, the track has a drastic mood swing and briefly becomes aggressive and distorted. The second last track – “Chemical Thirteen” highlights the drums in the introduction, allowing Grossman to show off his versatile abilities. His talents go nicely with the skills of Reeves and Rootes, and Gee’s unpredictable vocals. The final track kicks off with subtle bass, which becomes contrasted by distortion guitar. “Visual Echo” is an appropriate end to the album, a solid track that reminds the listener that BLACKLEAF GARDENS are a force not to be reckoned with, and a band with great things ahead of them.